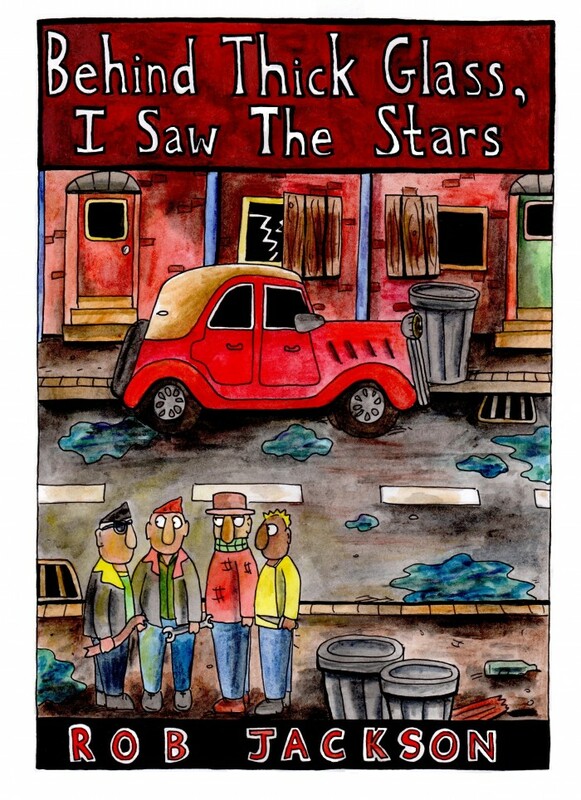 ‘Behind Thick Glass, I Saw the Stars’ is my latest comic. It is 52 black and white pages with colour covers and is halfway beteween A4 and A5 in size. It is priced at £6.40 with free postage in the UK. It follows the adventures of a gang of gnomes. Here’s the first four pages. Here’s a review from Rob Clough on his High Low site.